Sorry I haven’t posted much this year. I have a lot of homework, and there never seems to be time to do anything else. 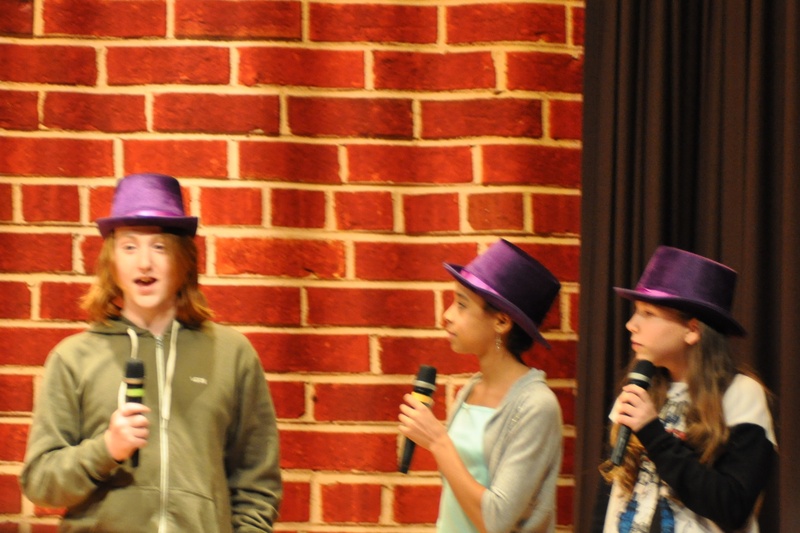 One thing I did find time for was a one-act play at school called I’m a Teenager: Get Me Out of This Family! I just had a bit part, but I got to write it myself because there weren’t enough parts in the play for everyone in the class. Everyone was good, and we had fun putting it together. 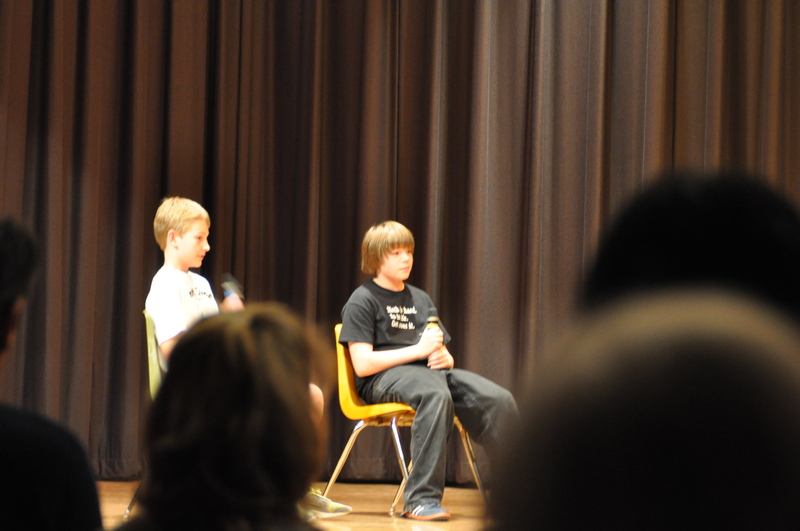 The 7th grade did two one-act plays. 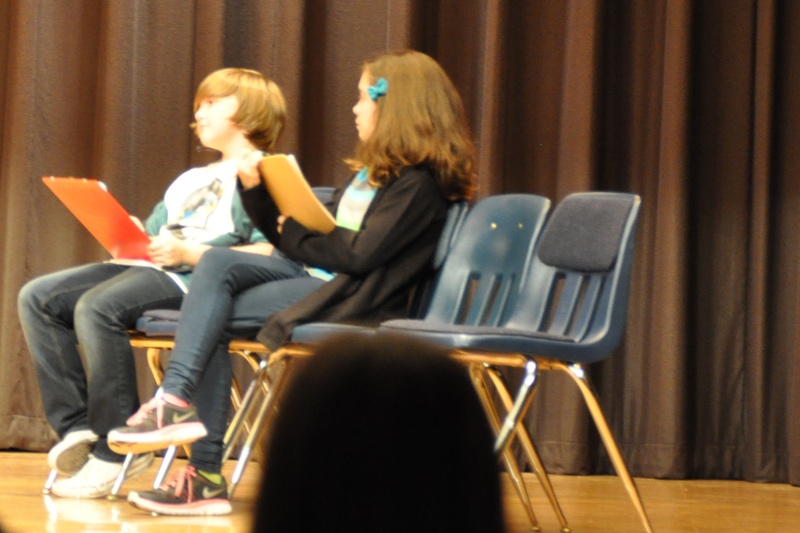 One class did How to Succeed in Jr. High Without Really Trying, and my class did the other one. My grandma says the room was too dark, and she was too far in the back, to get many good photos, but here are some that she took. 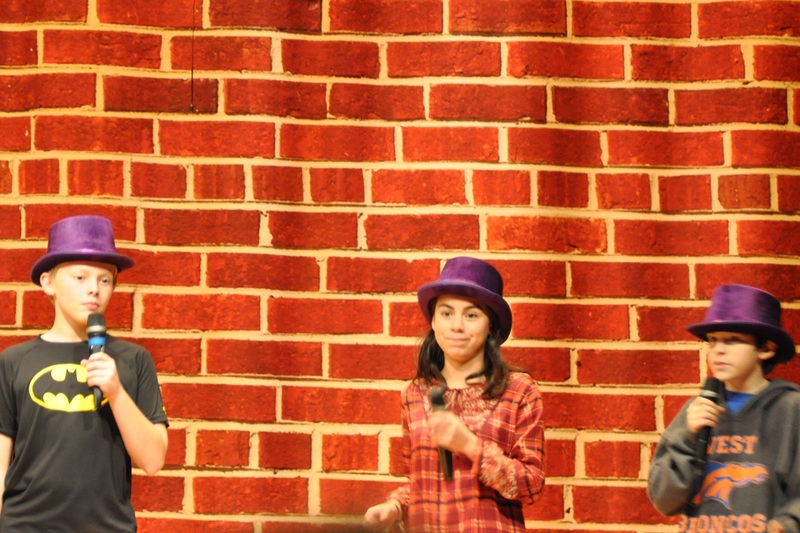 Tobias Lutz, Athena Mwema, and Sadie Meador in “How to Succeed in Jr. High Without Really Trying”. 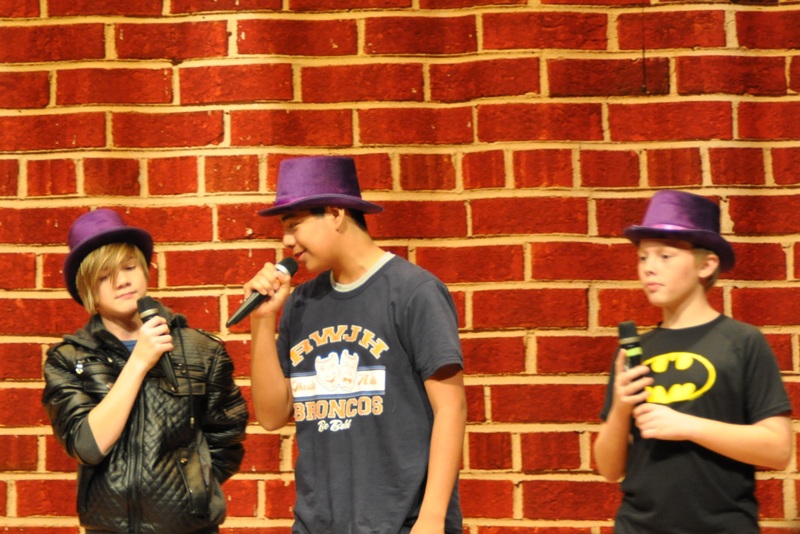 Charlie Mieth, Max Gomez, and David Allsup in “How to Succeed in Junior High Without Really Trying”. 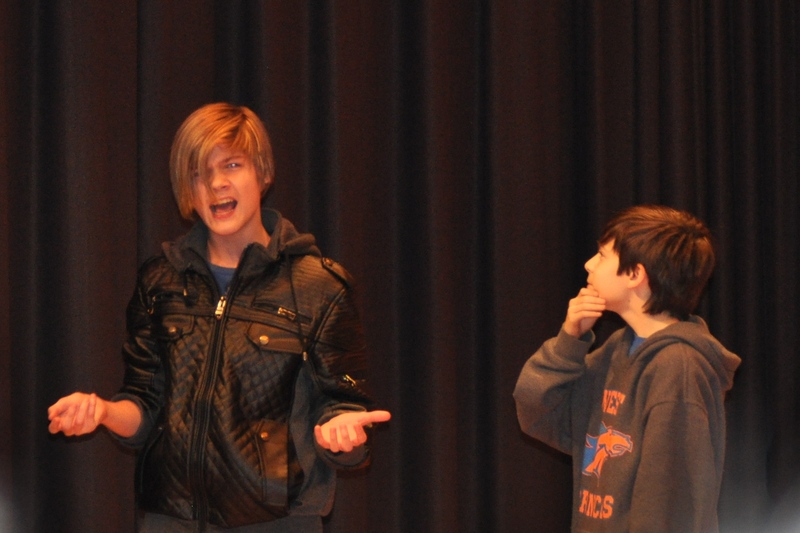 This is me and Davis Michelle, playing Trey (David) and George (me) the “hungry kids” in “I’m a Teenager, Get Me Out of This Family”. We play two of the kids who “audition” to become part of a family because we’re unhappy in our own families. Chloe Parrish and Timothy Verriere in “I’m a Teenager Get Me Out of This Family”. Chloe and Timothy played the mother and father, auditioning “new” kids to replace the ones they started out with — of course, they wind up keeping their own kids when everybody figures out they like being a family.